When you spend a lot of time belaying, you spend a a lot of time with your neck back, looking up at your climber. Climbers have a term for the feelings of muscle strain – soreness, stiffness, and tightness – that you experience when spending too much time looking up: it’s called belayer’s neck. 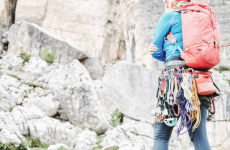 There are certainly some things you can do to help reduce belayers neck symptoms, such as taking more breaks while belaying, stretching and moving your neck around, massaging tight neck muscles, and strengthening your neck flexors. Another helpful solution is to find a way not to strain your neck looking up so much – by getting yourself a nice pair of belay glasses. How do belay glasses work? Belay glasses have prisms set on a glasses frame. The frames are usually big enough or flexible enough even to fit over top of regular eyeglasses. Prisms work by bending light. They convert your view from where the light is coming in to a different path through refraction. The angle that the prisms are placed in the glasses frame makes the view that you will see about a 60 degree angle above and in front of you. You will not have to lean your neck back as far to see high up the cliff as your climber makes their way up. You simply look up with your eyes and what you see is redirected up the cliff. Some people find it a bit disorienting to start looking through belay glasses. 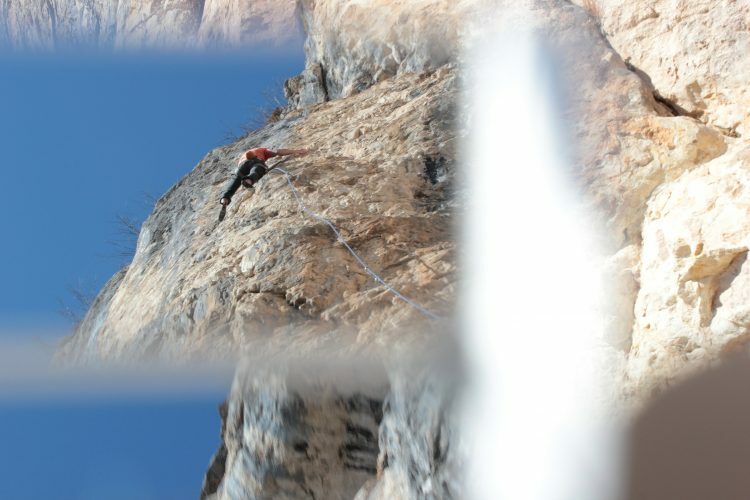 The steepness of the cliff will look different through the belay glasses and you’re perception will be much different. Try them out before belaying just to get an idea how your field of view changes, and also to let your eyes get used to the differences in how the image will look. You might find it strange at first, but after time it will become a lot more natural. Most belay glasses come with a strap attached to the arms so you can simply wear they around your neck while your partner is getting onto the route. 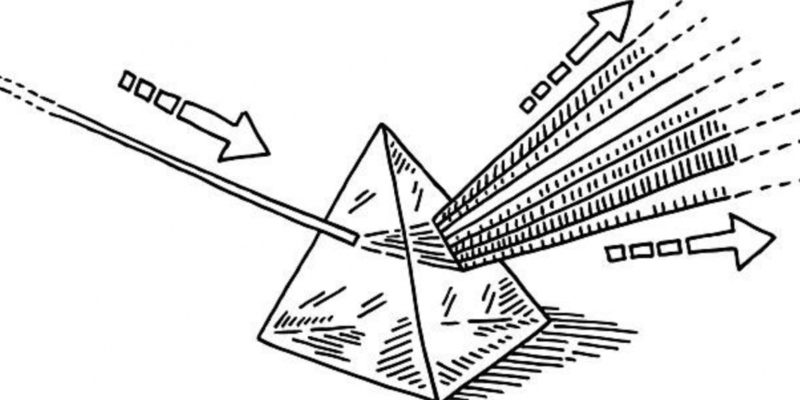 Once they’ve moved up high enough that they will be in sight with what the angle of the prism view shows you, then simply lift them onto your eyes. Some people also keep the belay glasses on their face, but learn to look above them without looking into the prisms. You can keep them down lower on your nose to make it easier to see and then push them up slightly once it’s time to look through them. Don’t look into the sun! This may sound like a pretty obvious tip, but if you’re not used to the angle of the glasses, you’ll want to be extra careful not to aim them into the sun. The more you get used to where your vision will land with the belay glasses, the less you have to worry about accidentally doing this. Belay glasses first started showing up around 2007, but back then there were only a couple options available. They were also pretty hard to get. Even just a few years ago, there were only a few options for belay glasses, such as CU Belay Glasses and Belay specs. These are great quality belay glasses, but for a long time they were considered too unaffordable by most climbers. As belay glasses have become a lot more popular, there are now quite a few alternatives to the more expensive options. The original Y&Y Classic belay glasses are comfortable, flexible, and stylish. They have an excellent fit and a thin frame that easily allows you to see your surroundings while you have them on better than some other pairs. 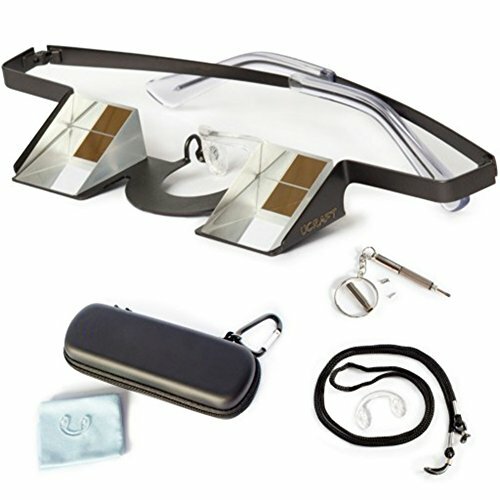 With these high quality belay glasses comes a well-made anti-shock case, glasses cord, microfibre cloth, and replacement pieces for maintenance and repairs. They also come in many different colors. These are definitely our favorite belay glasses. 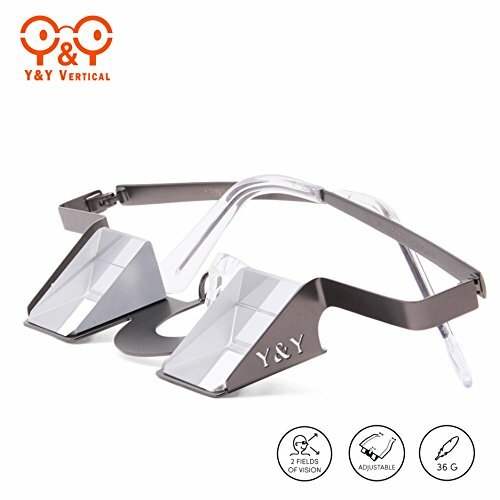 The Plasfun Glasses by Y&Y are the same shape and great design as the Classic Y&Y Belay Glasses, but they have a plastic frame. This makes them lighter, and also they cost less. They also come with the same protective carrying case and other accessories as the Classics, and they’re also available in many different colors. Belaggles Belay Glasses are very comfortable and durable. They have a nice wide field of view. Because of this there is not quite as much peripheral vision as with smaller glasses but they make up for it with the excellent visibility of your climber. Ucraft Climbing Belay Glasses are lightweight and slim. They provide a very good amount of peripheral vision due to their design. 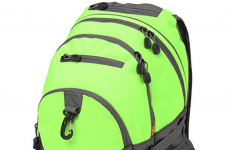 They also come with a shock-free case, neck strap and cleaning cloth, and are very reasonably priced. 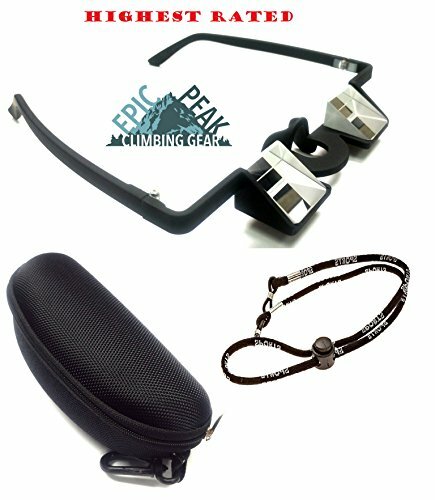 The Epic Peak Belay Glasses are one of the most popular choices for people who have never owned another pair of belay glasses before. They have comfortable plastic frames and provide a great field of view. They are also the most affordable belay glasses we found. With so many great affordable belay glasses available, it’s really time to try out a pair if you haven’t already. Some people may not like the way they work and will still prefer not to use them, but a lot of climbers end up loving them once they get used to them. No matter which pair you choose, we think you will find that they really are a neck-saver. 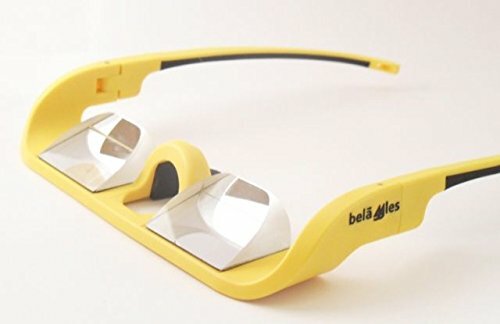 Have you tried any of these or other belay glasses? 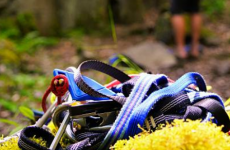 What do you like about them and do you use them every time you belay? Let us know what you think in the comments.